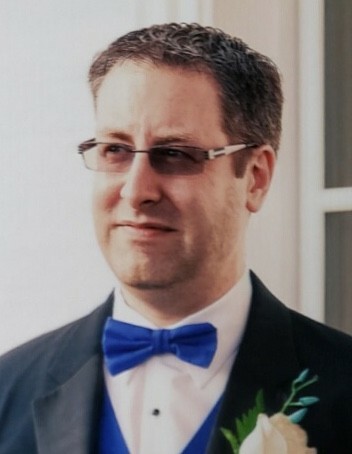 Age 40 of Wilmington and formerly of Romeoville, Illinois, passed away peacefully on Saturday April 6, 2019 at his home, surrounded by family and friends. Born September 9, 1978 in Joliet, Illinois, Kristopher Michael is a son of Brian and Lynn Marie (Collins) Lifka. He was raised in Romeoville and graduated from Romeoville High School. On April 12, 2014, Kris married Cheryl Varela in Alsip, and together they made their home in Wilmington. Kris was employed with US Cold Storage for the past 10 years, and in his free time enjoyed bowling and playing cards. He will be remembered as a great fan of both the Chicago Bears and Chicago Blackhawks. Survivors include his wife Cheryl; parents, Brian and Lynn Lifka; step-daughter, Stephanie Cindy Perez; one sister, Brianna Lifka, and his maternal grandmother, Violet Collins; uncles and aunts: Kirk and April Nesteval, Frank and Jackie Jenkins and Michael Collins; cousins: Kyle, Kirstin and Tyler Nesteval and Franklin and Savannah Jenkins, as well as a host of extended family and friends. The family will receive friends for a visitation on Saturday, April 13, 2019 from 9:00 a.m. until the time of funeral services 12:00 p.m. at Baskerville Funeral Home, 700 East Kahler Road in Wilmington. Preferred memorials may be made as gifts in Kris’ memory to the family for their distribution.